For company employees we offer special programmes which are designed to increase employee productivity, bring employees closer together, while also releasing everyday stress. Unique experiences outside of people’s comfort zones brings them close in new ways. Enjoy time away from the office in a beautiful environment. 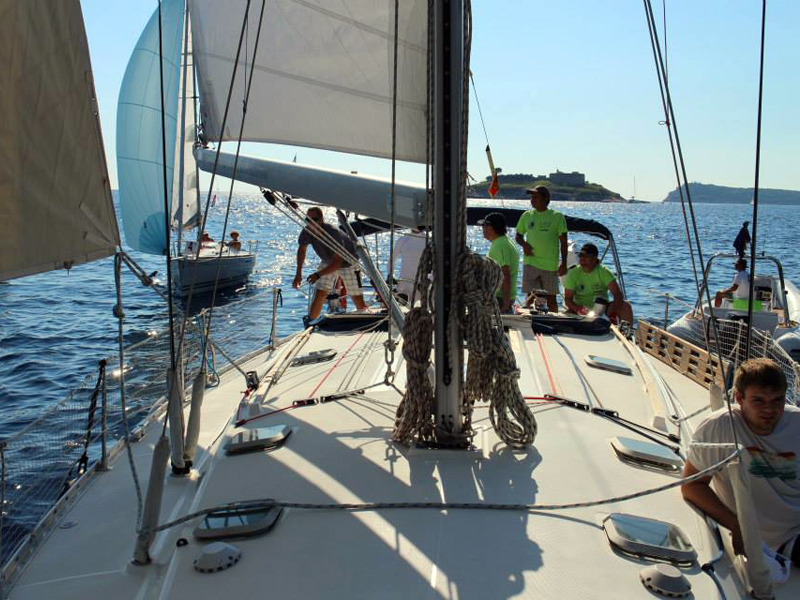 Let us know your requirements so we can help in organizing your corporate sailing event. Find out why leading companies in the region have chosen our programme in offering their employees a short break and productivity boost with excellent results. This arrangement can last from one to four days and it is tailor-made for every client. 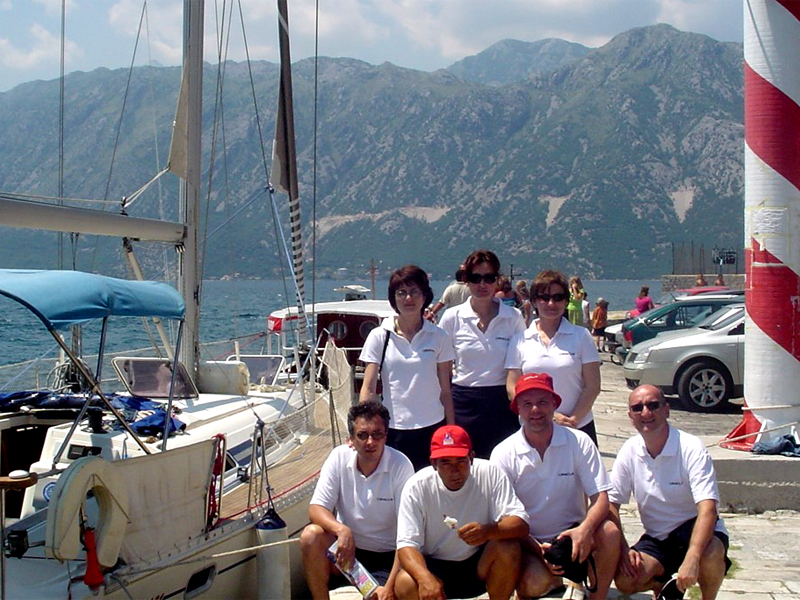 Day One - We gather at the marina in Budva for boarding and sail to the Jaz or Trsteno coves (half an hour sail). After taking a swim, we sail to Trašte Bay. We may use this opportunity to organise a team regatta, in which guests can learn some sailing skills while having a good time. A reserved dock awaits us at Bigovo (a small fishing village), which offers a seaside restaurant that serves freshly-caught seafood. Stay overnight in Bigovo. Day Two - We set off in the morning for the coves at Žanjic or Mirišta for a day of swimming, beach volleyball, and dining by the sea. 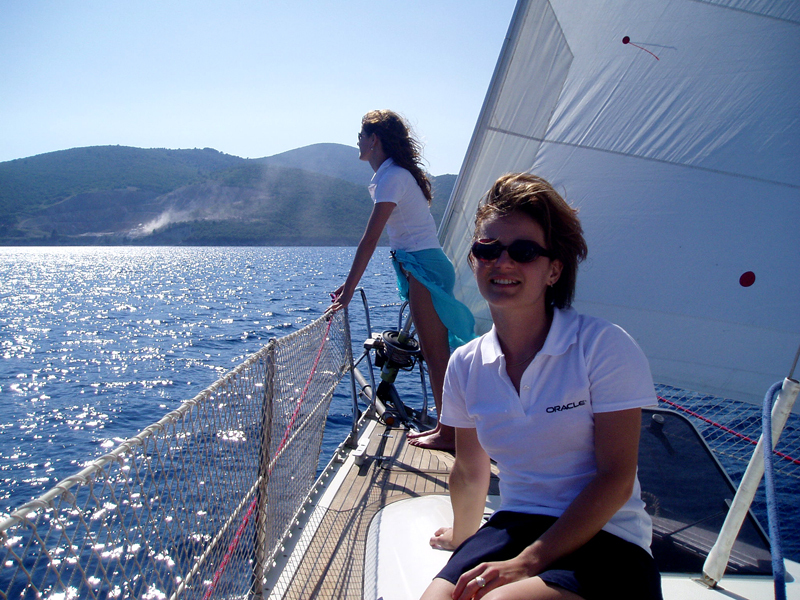 In the early afternoon we sail to the Bay of Herceg Novi (a small regatta may be organised). We visit the tiny island Our Lady of the Rock with its tiny church and the town of Perast across from the island with its old captains` houses. 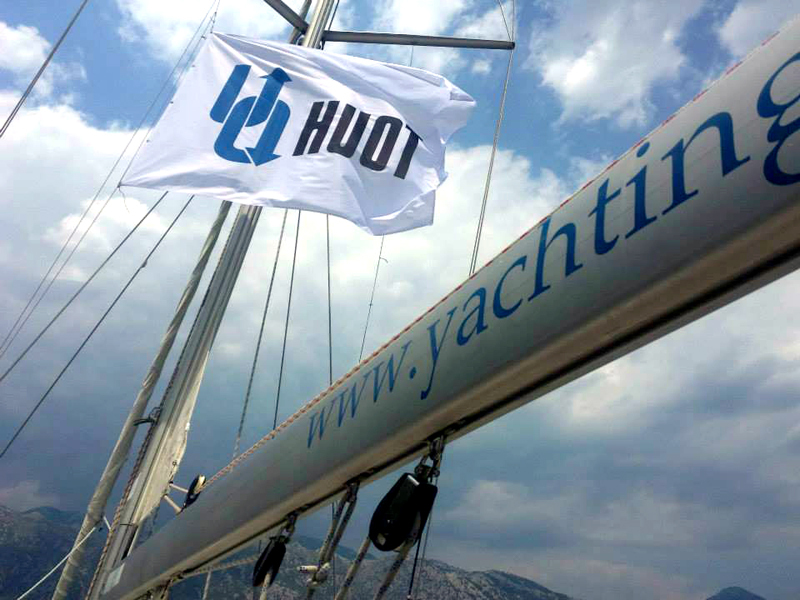 In the early evening we sail to Tivat, dine at the restaurant and spend the night at the Portomontenegro marina. Oracle Serbia, Informatika Montenegro, Hypo Alpe Adria Consulting, Pernod Ricard Serbia, ACO group Eastern Europe, AstraZeneca Serbia, IBM Poland, Canon Russia, Holcim Serbia, Huot Serbia and others. "It has been three months now since you have organized a team building for our company and it still is the topic of discussion among the directors of ACO companies for Eastern Europe. The first thing I was so pleasantly surprised with was how easy we have agreed about all the details. My guests and I were delighted with the skippers, it was as if we knew each other long time ago, we felt like we were not guests on the yachts but true members of the same team. We are looking forward to sailing with you again! Thank you a lot!"